Taylor works with client families to customize investment strategies in concert with their overall wealth planning needs. He develops asset allocation policies, oversees implementation, and delivers regular reviews to clients to assess changing needs and market conditions. In addition to serving clients, he works with the investment team to source, evaluate, and monitor external managers for select investment strategies. He spent seven years as an investment analyst, first with Goldman Sachs’ Special Situations group evaluating opportunities in distressed and performing debt and then, beginning in 2010, in Sentinel Trust’s domestic equity group analyzing stocks in the energy, utilities, and technology sectors. In both of these roles, he applied his business acumen and technical expertise to help maximize the effectiveness and efficiency of our clients’ individual financial goals and the firm’s overall investment strategies. 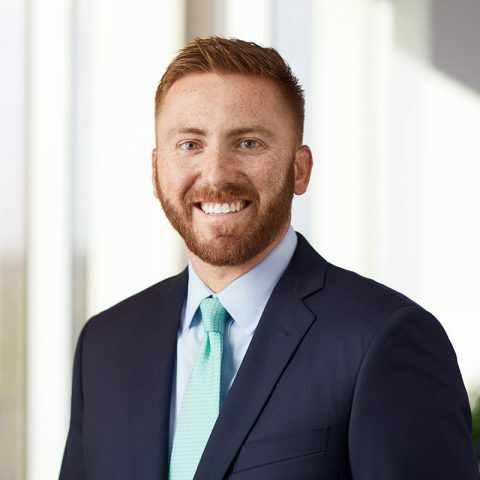 Taylor is active with his college alumni and community networks locally, serving on the Advisory Board to the Bush School of Government and Public Service at Texas A&M University. Senior Investment Analyst, Sentinel Trust Company, LBA, Houston, TX (2010–2015) – Responsibilities included performing equity research and fundamental analysis from the Sector to Company level on U.S. equities over a broad range of economic sectors including Energy, Utilities and Technology. Investment Analyst, Special Situations Group, Goldman, Sachs & Co., Dallas, TX (2008–2010) – Developed investment theses for primary, secondary, and distressed fixed income investment opportunities through the creation of financial models and industry- and company-specific due diligence. Actively managed an investment portfolio consisting of 1st lien, 2nd lien, and Mezzanine debt across a wide variety of sectors including consumer products, education, software, and oil and gas exploration and technology.